My after photo - Today, the 150 pound spinning instructor ! ARCHIMEDESII is a SparkPeople Motivator! Greetings ! Welcome to the Sparkpage of ArchimedesII. Someone once asked me why I chose Archimedes as my Spark cyber name. Just like the great philosopher, scientist, engineer, mathematician, I do my best thinking in the bathtub too !!! For most of my life, I've been the chubby kid in the room. I've certainly had my dietary ups and downs. Twice in my life, I've weighed over 200 pounds. Several years ago, I fell in love with kick boxing. I loved it and I was really good at it. I was one of those fit, but fat people. I could do high kicks, push ups, etc... but, then an opportunity came up. My instructor was going away for a week and he was going to cancel class because they didn't have an instructor. I asked him if I could sub for him ? He said he'd be thrilled to have me teach since I knew all the moves. And that's where my road to good health and fitness began. One thing I told myself was that it would probably look a lot better if the kick boxing instructor wasn't so over weight. That's when I decided it was time to modify my eating habits. I knew I ate way too much junk food and that's where I started making the first changes to my nutrition. It took me one year to lose approximately 55 pounds by eating right (to the best of my ability) and watching my portions. Teaching kick boxing is the tiny snowball at the top of the mountain. Since I pushed it off, so to speak, I've become a certified spinning instructor, kick boxing instructor, Powerflex instructor, etc... AND over two years ago, I became certified as a personal trainer. Now, all of the above happened over a seven year period. But, if you had come in a way back machine and told me years ago that I'd be a fitness instructor, I'd have laughed at you. Stranger things have happened. Not bad for an old lady of 48 ! One thing I've told myself, I am NOT weighing over 200 pounds for a third time. The good news, I think I've finally learned what it takes to take the weight off and keep it off. Moderation. Moderation. Moderation. 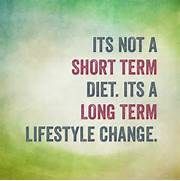 Eat right, watch your portions and get some regular exercise that includes some strength training. It really does work. To maintain the 55 lbs weight loss I achieved. To be healthy and remain physical fit as I grow older. I eat right, watch my portions and get some regular exercise that includes strength training. Works part time as an aerobics instructor. teaches spinning, muscle sculpting, pump (aka Powerflex) and kickboxing. Greetings ! Welcome to the Sparkpage of ArchimedesII. Someone once asked me why I chose Archimedes as my Spark cyber name. Just like the great philosopher, scientist, engineer, mathematician, I do my best thinking in the bathtub too !!! For most of my life, I've been the chubby kid in the room. I've certainly had my dietary ups and downs. Twice in my life, I've weighed over 200 pounds. Several years ago, I fell in love with kick boxing. I loved it and I was really good at it. I was one of those fit, but fat people. I could do high kicks, push ups, etc... but, then an opportunity came up. My instructor was going away for a week and he was going to cancel class because they didn't have an instructor. I asked him if I could sub for him ? He said he'd be thrilled to have me teach since I knew all the moves. And that's where my road to good health and fitness began. One thing I told myself was that it would probably look a lot better if the kick boxing instructor wasn't so over weight. That's when I decided it was time to modify my eating habits. I knew I ate way too much junk food and that's where I started making the first changes to my nutrition. It took me one year to lose approximately 55 pounds by eating right (to the best of my ability) and watching my portions. Teaching kick boxing is the tiny snowball at the top of the mountain. Since I pushed it off, so to speak, I've become a certified spinning instructor, kick boxing instructor, Powerflex instructor, etc... AND over two years ago, I became certified as a personal trainer. Now, all of the above happened over a seven year period. But, if you had come in a way back machine and told me years ago that I'd be a fitness instructor, I'd have laughed at you. Stranger things have happened. Not bad for an old lady of 48 ! One thing I've told myself, I am NOT weighing over 200 pounds for a third time. The good news, I think I've finally learned what it takes to take the weight off and keep it off. Moderation. Moderation. Moderation. Eat right, watch your portions and get some regular exercise that includes some strength training. It really does work. Thanks for adding me as a friend!! Looking forward to following your progress. Hello! I did make it to Comic Con this year. Makes 7 years in a row, so we'll see when my luck runs out getting tickets. It was hot and humid and crowded, but I loved being there seeing the sights and having another fun experience! It's good to read that you're still working! And hooray for running! It's funny you asked about my back. I'm in the middle of a flare up right now. I was starting to have little twinges of pain so I went to see a new chiropractor hoping to get it under control before it got too bad. Then, of course, it went from "hmmm....that didn't feel great" to "holy moly give me the ice pack I can't move!" It's getting better, and I'm trying to convince the chiropractor to trade me adjustments for blog posts (we'll see how that goes - I may end up finding another client to be able to afford the chiropractor). I haven't signed up for any 5Ks yet. I'm trying to ramp up very, very slowly. For now, the longest distance I've managed was jogging one-third of a mile. Mostly I'm doing jog/walk intervals for 40 minutes or so per workout. Maybe by the fall I'll be ready to try a 5K. I hope you have a great time at the charity race! Thanks for commenting on my post. It's always lovely to hear from you!